Bengt Jacobson graduated with PhD (1993) in machine elements at Chalmers University of Technology, Sweden, studying the dynamics of gear shifting in power-shifting transmissions. He continued research on longitudinal vehicle dynamics with dynamic modeling and control of powertrain systems, including hybrid vehicles. Based on this topic and teaching in vehicle dynamics, he was entitled as Associate Professor (1998). Dr. Jacobson was Technical Expert (2001-2010) at Volvo Car Corporation with focus on vehicle dynamics control and active safety, mainly focusing on brakes and steering. 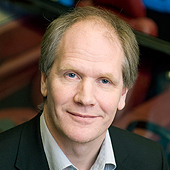 Dr. Jacobson is currently the Professor and group leader of Vehicle Dynamics group at Chalmers. (www.chalmers.se/en/departments/m2/research/veas/Pages/Vehicle-Dynamics.aspx).The focus of this research group is vehicle motion in ground plane, for both passenger cars and heavy trucks. Proceedings of the 2012 International Conference on Advanced Vehicle Technologies and Integration, Changchun, China, July, 2012. 10th International Symposium on Advanced Vehicle Control (AVEC 10), August 22-26, 2010 in Loughborough, UK. International IMechE Conference "Bus 2000", London, March 15, 2000. Proceedings of IEEE conference AVCS-98, International Conference on Advances in Vehicle Control and Safety, July 1-3, 1998, Amiens, France. 4th International Symposium on Advanced Vehicle Control 1998 (AVEC'98), Nagoya, Japan, September 14-18, 1998. CESA´96 IMACS Multiconference Computational Engineering in Systems Computations, Vol. 2, Lille, France, July 9-12, 1996, pp. 964-969. 4th International EAEC Conference on Vehicle and Traffic Systems Technology, Strasbourg, France, June 16-18, 1993. 6th International Power Transmission and Gearing Conference, ASME, Scottsdale, USA, September 13-16, 1992, Volume 2, pp 567-574. 3rd International EAEC Conference on Vehicle Dynamics and Powertrain Engineering, Strasbourg, France, June 11-13, 1991, 99 195-202. There might be more projects where Bengt J H Jacobson participates, but you have to be logged in as a Chalmers employee to see them.